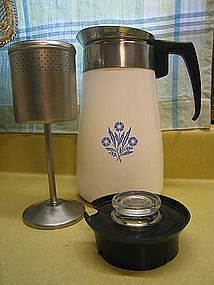 Vintage Proctor Silex electric percolator marked for 11 cups. 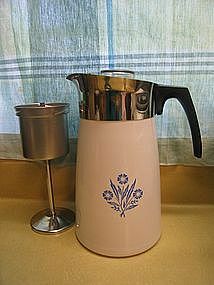 It has a detachable glass carafe with white flowers and leaves pattern. It has all the original parts and in good working order. It has been used and shows minor age related wear. Additional photos by email. I need your zip code to calculate the postage. 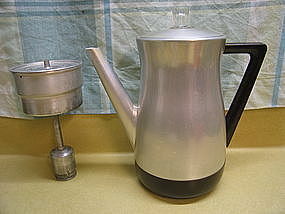 Vintage Flavo-Matic coffee pot in the 6-8 cup size. As you can see, it comes with original stem and basket. It is in working order, but will not come with a cord. 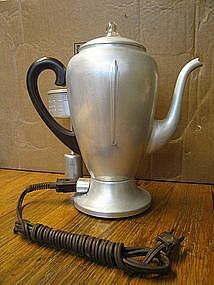 I can't find the original and tested with a compatible West Bend coffee pot cord. Other than to be tested, it hasn't been used in many years and should have an interior cleaning. There are some exterior scratches. I need your zip code to calculate the postage. 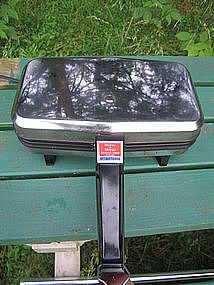 Replacement lid for the non-electric 9 cup Corning coffee percolator. 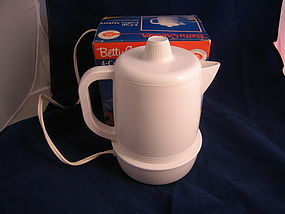 It is shown with the appropriate coffee pot style for identification purposes. There is one tiny area of roughness to the plastic rim. I need your zip code to calculate the postage. Replacement stem, basket and strainer lid for the 9 cup Corning coffee pot. 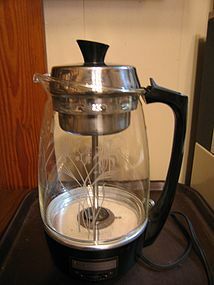 Point of clarification, the strainer lid is the top to the basket and not the coffee pot. This is the stove top version and the basket set is being shown with the style coffee pot it fits. The lid is available for purchase. I need your zip code to calculate the postage. 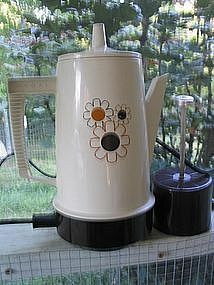 Ten cup stove top style coffee pot marked Corning P-149. It has all parts. There is very little sign of use. I need your zip code to calculate the postage. Vintage milk glass juicer attachment marked as N066 (or could be 990N)10. There are a few shallow flakes on the exterior rim. I need your zip code to calculate the postage. 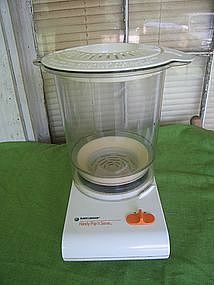 Hot air popcorn popper. 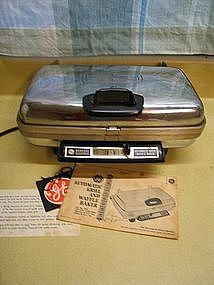 I've had several hot air poppers and this was my favorite because you had control of the kernels and didn't have to sweep the floor after you finish. I love popcorn, but it doesn't love me anymore, actually, it doesn't even like me. It is in good working order, although it has been used quite a bit. There are some cleaning marks to the plastic. Additional photos by email. I need your zip code to calculate the postage. This vintage mixer works, but the cord has aged to the point of being unsafe. Unless the cord is replaced, it should only be used for display. 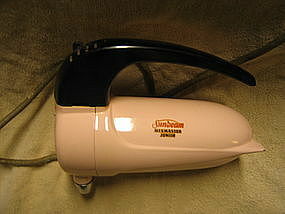 There is some wear to the pink finish, needs additional cleaning and the handle has scratches. Complete condition photos by email. I need your zip code to calculate the postage. 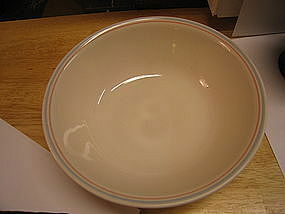 Serving or vegetable bowl size. There is no damage, other than a few light utensil marks. Mugs in this pattern are also available for purchase. I need your zip code to calculate the postage. Not to be confused with 134 B, which is the smaller version. 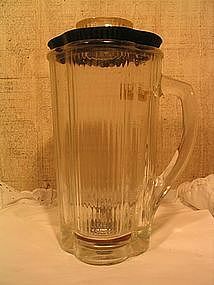 This basket with lid is from the older Farberware "Superfast" percolator with the glass knob. There some superficial cleaning marks. I need your zip code to calculate the postage. 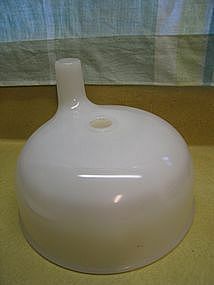 Older heavy glass carafe and lid with plastic insert. The blades are not rusted but show some usage. The plastic lid insert has minor roughness on the rim. Marked as 17. Please email for detailed photos. I need your zip code to calculate the postage. 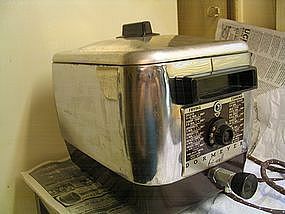 Model 6000 deep fryer from 1950s. It is 1500 watt. The basket and handle are included. We've had it packed away for over 20 years and it should be polished. The large blob on the left corner is my reflection - not damage. It heats up, but have not tested further. The cord is not damaged. There are no dents. The lid shows more age wear than any other portion. Please email for complete detailed photos of condition. I need your zip code to calculate the postage.